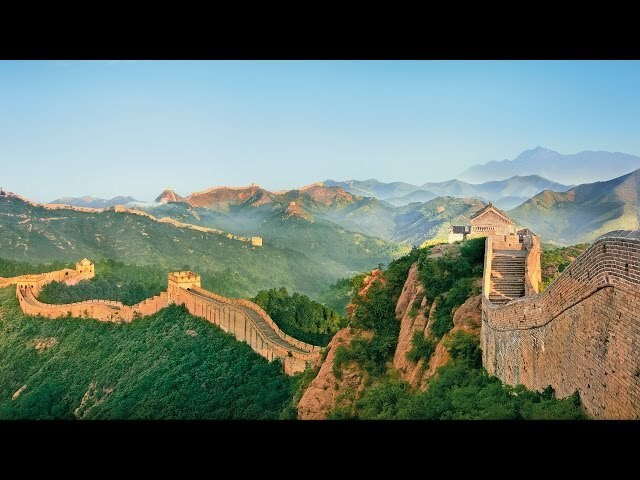 This 15-day itinerary is the perfect introduction to China. Experience the Iconic cities of Beijing and Shanghai. Book from selected sailings between March and May 2019 and receive a free upgrade to Business Class with Finn Air. Offer expires 27 July 2018. A visa is required for entry into China at guest's expense. One of the most important cities of China’s Republican Revolution, this capital is a gateway to the Yangtze Gorges. Ancient Ying’s city walls, gates and watchtowers help Jingzhou strike a dramatic pose on the Yangtze’s banks. Wu Gorge is a breathtaking canvas of forest-covered mountains, sheer cliffs, rising mist and cascading waterfalls. Shibaozhai Temple or 'Precious Stone Fortress' is a must see gem of Chinese architecture. On the hills where the Yangtze and Jialing Rivers meet, Chongqing was one of the Allies’ World War II headquarters. Famous for the ancient Terracotta Warriors, buried with Emperor Qin Shi Huang over 2,000 years ago. Beijing was a grand imperial capital from the 10th century until communism in 1949, it holds over 3,000 years of history. Get a snapshot of Shanghai’s rich history in its ancient quarter and at the city’s excellent museum of antiquity. Visit Wuhan’s beloved museum and attend a performance of its treasured ancient bells. Meet the youth of Jingzhou during a fun and fascinating visit to a local school. Take a tour of China’s massive dam project and learn the effect of this immense engineering masterpiece. Visit a spectacular 12-story pavilion and its adjacent hilltop temple along the Yangtze. Visit some of Chongqing’s most beloved residents at the Chongqing Zoo. Cruises departing Shanghai only. See more than 8,000 life-sized sculpted warriors, horses and chariots at one of the world’s most amazing excavation sites. Visit one of the best preserved sections of the Great Wall and view the burial site of emperors. Cruise the mighty Yangtze River on board our dedicated state of the art full veranda river cruise ship. Relax on board in Viking comfort, and why not visit the on board shop? Explore in style with the finest guest rooms that river cruising has to offer. Our suites all have panoramic windows that open onto a private veranda offering beautiful river views.